The Grinch, an animated remake of the classic Dr. Seuss tale about the one who stole Christmas, is a funny and lighthearted film for people of all ages to enjoy this holiday season. Released on Nov. 9, the movie follows the story of the Grinch, who has isolated himself and his obedient dog Max from the town of Whoville in order to stay far away from the citizens’ holiday cheer. The infamous main character was voiced by none other than popular actor Benedict Cumberbatch, known for various roles such as Sherlock Holmes in the British crime drama Sherlock and Dr. Stephen Strange in the Marvel production Doctor Strange. American actress Rashida Jones was also in the film as the voice of Donna, mother of the little girl named Cindy Lou Who who helped thaw the Grinch’s frozen heart, and American rapper Pharrell Williams narrated the film with the rhymes from Dr. Seuss’s book. At the start of the film, Whoville is abuzz with Christmas preparations, while the Grinch is holed away in his cave and dreading the coming celebrations. He plans to stay clear of the holiday cheer, but when he learns that they are planning to make Christmas three times bigger this year, the Grinch decides he has had enough and plots to steal all of the gifts and decorations littered throughout the town. The Grinch does an excellent job of working humor into the storyline, especially at the start of the film. The irony is that the Grinch, despite being the most cynical and pessimistic character, is also the most entertaining to watch, with his hilarious mess-ups and satirical attitude towards others. However, the movie takes on a more serious turn as the plot progresses. The major theme addressed is the lack of a family on the holidays. The Grinch makes good use of flashbacks to the main character’s childhood as an orphan in order to represent this, presenting a valid reason for his resentment of Christmas. Despite the film’s shift in tone, it still manages to weave a happy ending into a theme that goes a little deep for a production directed towards children. The final scene of the movie is quite satisfactory, leaving behind a feeling of contentment regarding how the story turned out. This most recent movie does have its differences from the other versions of the story, the main one being the Grinch’s tweaked personality. Compared to the previous stories, the Grinch is not nearly as cruel and menacing this time around, showcased in scenes such as in the scene where the Grinch bought his dog Max a squeaky green bone toy and watched Max play with a smile on his face. Audiences were also presented with a new take on the reasoning behind the Grinch’s sour attitude: his childhood as an orphan. He didn’t have a family to celebrate Christmas with, leading him to isolate himself from society at a very young age. 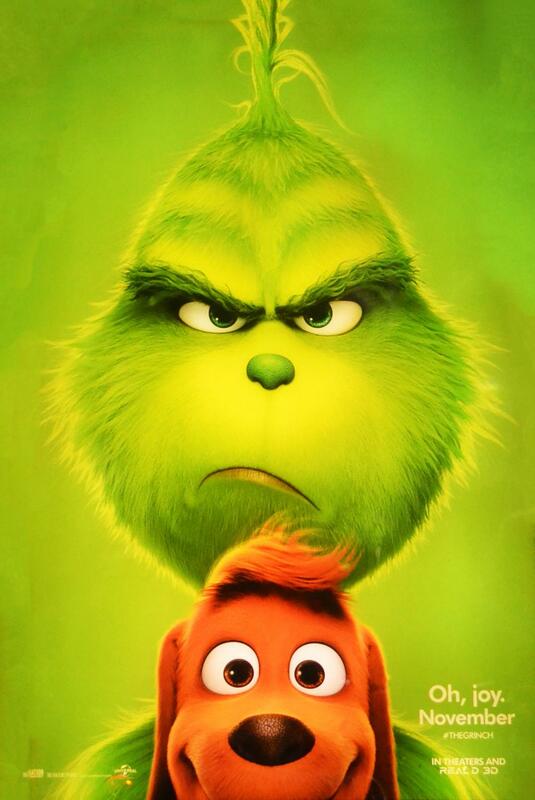 This adaptation is also unique in that it marks the first Grinch movie done using computer-generated imagery, or CGI; the previous film in 2000 was done in live-action, and the ones before it were all done using standard 2D animation. All in all, the production’s skilled use of CGI and unique changes to the storyline make it a hilarious and lovable adaptation of the classic tale. For those looking to spend more time with their families and relax this season, this movie is definitely worth a watch.